Bill Fillmaff's Secret System - You're Playing Poker. He's Playing Poker Right. 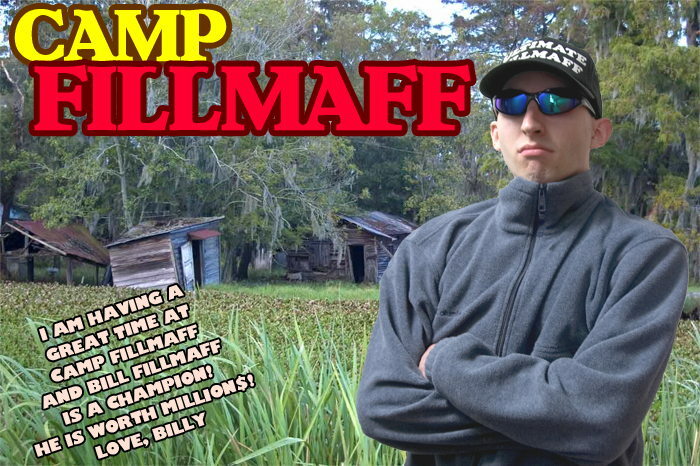 Here's a postcard from beautiful Camp Fillmaff, Bill Fillmaff's official poker fantasy camp! Copyright 1998-2005, Fillmaff Brands. Contact Bill Fillmaff.